Mmmmmm cheeseee. There's just something awesome about the taste of melted cheese. I had a craving for it but I wasn't about to bake a pizza just for that. So.... 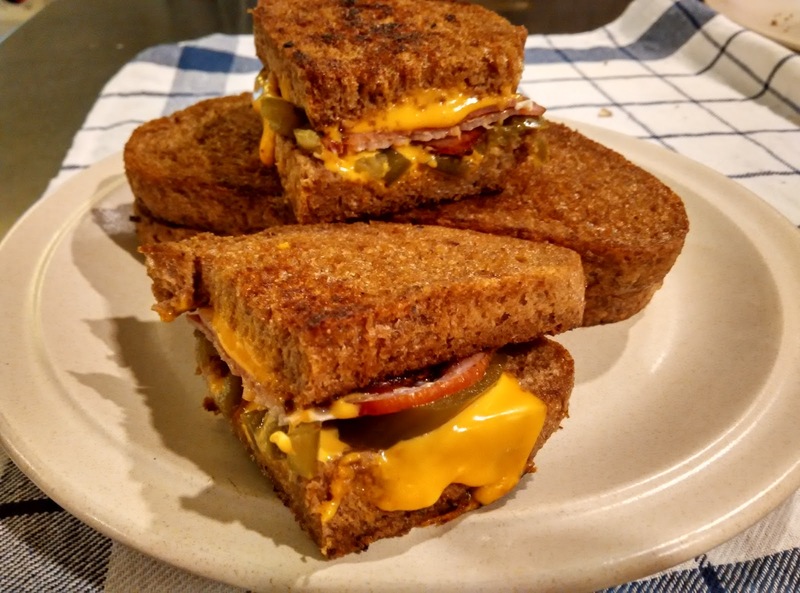 Lo and behold the simple and sinfully good grilled cheese sandwich! - Remove bacon from pan, toast bread on pan butter side down. - Flip bread after butter side is nicely brown n toasted. - Add cheese,bacon and jalapeno on top of one slice. - Put other slice on top and press down.